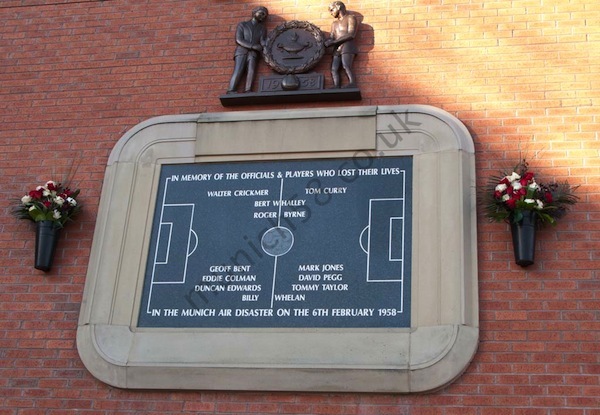 A plaque in memory of those who died was erected at Old Trafford on 25th February 1960. The plaque was paid for by the club and unveiled by Matt Busby. The original Munich plaque was placed above the old Directors Entrance (South Stand tunnel) but was too fragile to move during ground redevelopments made in the mid 1970s. 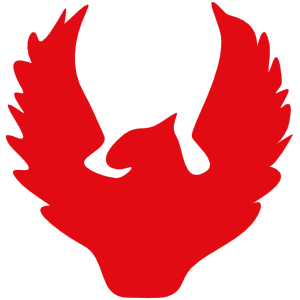 The club decided to keep it in its original place, however it is no longer possible to see it as it has become part of the building work of Old Trafford. The current plaque, which currently resides high up on the South Stand corner of K Stand, is actually the third one – the first one is the one which was not possible to move, the second one which replaced it is currently in store (and will be relocated to the Museum soon). No damage was done to the original plaque when the stadium redevelopment work was done. The third plaque was unveiled in 1996.